An Energy Performance Certificate (EPC) is a legal requirement whenever a property is built, sold or rented. Since October 2008, legislation, under the Energy Performance of Buildings Directive, has made it illegal to market a property without a valid EPC. You must order an EPC for potential buyers and tenants before you market your property to sell or rent. In Scotland, you must display the EPC somewhere in the property. You can be fined up to £5,000 if you do not make an EPC available to a prospective buyer or tenant. 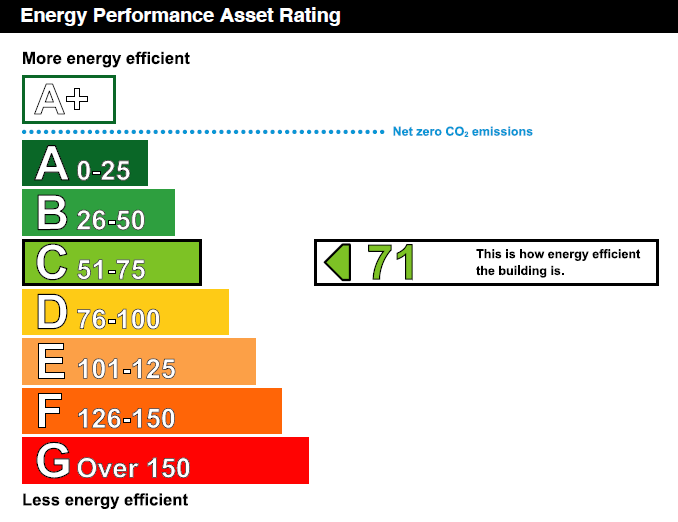 What does an Energy Performance Certificate measure? An EPC is valid for 10 years providing there have been no substantial structural changes. As of 2018, EPC requirements will become tougher, meaning it will be unlawful to let residential or commercial properties with an EPC rating of F or G.
Up to 35% of commercial buildings in the UK could fall below new energy efficiency standards by 2018. This legislative change will improve the efficiency of privately rented properties in both the domestic and non – domestic sectors. Compliance365 has experience providing both domestic and commercial EPC’s in a diverse range of sectors ranging from retail, industrial units, hotels, pubs, offices, shopping centres, care homes and hotels. Our team of Energy and Carbon Consultants also offer advice and guidance on all our certification services. Where a low rated EPC is generated we are able to produce an EPC review. An EPC review provides details of how the EPC could potentially achieve a higher rating and the implementations required to achieve this.